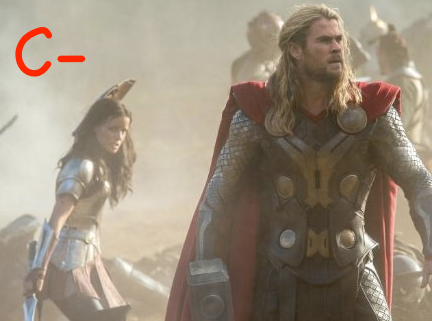 Thor: The Dark World may not be as good as the first Thor movie, but the question is: How much worse is it? Well, it’s hard to say. The first film relied on cheesy humor and sappy personal relationships, but with a heartily troubled relationship between “Thor” (Hemsworth) and “Odin” (Hopkins) as something that made it all mean something. They were the big selling points besides the awesomeness of the characters themselves. Not only was the action cool, but we had more suitable reasons to care. And the plot made sense. Now that we’re used to seeing both of them and we have a whole lot of the same in Thor 2, the addition of over-the-top super-villains and a flatly retarded storyline that fails on many levels messes things up...very close to beyond hope. This time around, the big threat facing Asgard is one right out of Dungeons and Dragons—a race of dark elves bent on eliminating…light…from the universe. They are aiming high and have set their sights on defeating everyone (and everything, including, implicitly, not just all beings in existence, but heat, radiation, stars, and any other potential light sources). Go back and reread that last sentence over and you’ll understand it for what it says; these ridiculous creatures’ main purpose is to make everything literally dark. No light at all anywhere. Forget about reading or cooking and not stumbling on your way to the bathroom. No need for eyes! No light! Nada! That’s the big plan! 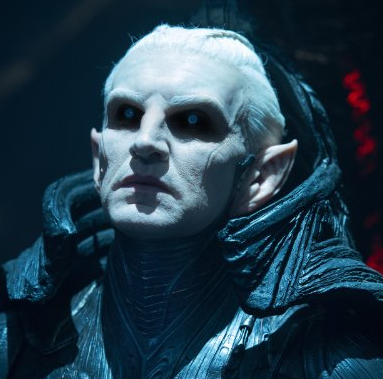 These cartoonishly absurd villains are led by “Malekith” (Christopher “The Others” Eccleston) and the weapon they seek – a weapon of dark matter from a great war at the dawn of time – was (very strangely) hidden on earth. Since they couldn’t destroy it, why not hide it inside a dying star or on some uninhabitable, Jupiter-like world where no one could find it? Because then we’d have no movie. And hey, maybe we shouldn’t have had a movie? Back on earth, “Jane Foster” (Natalie Portman) is displaying her usual annoying personality and has been trying to move on with life since Thor has been away rebuilding on Asgard. Her father (Stellan Skarsgård) isn’t doing much better because he has gone nuts. And what better way to further ruin a movie than by employing distracting comic-relief in the form of a naked crazed scientist? It just keeps losing points left and right here. On Asgard, the portal between worlds has been rebuilt and “Heimdall” (Idris Elba, one of the more impression-making characters in both films) has once again resumed his duties as gatekeeper. 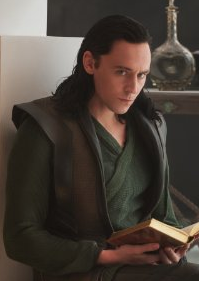 “Loki” (Tom Hiddleston) is being sentenced for his crimes in the previous movie, but with all that is wrong with this film, his expanded role is perhaps the only justice done. Sadly, it’s not enough. Loki wins us over more so than anyone else. Audiences will really get behind him more so than ever. Because of the weapon of great power wielded, Asgard is overmatched by the dark elves. But once in a while – with the exception of some exhilarating battles – we aren’t really made to sympathize with the plight of Asgard. Hopkins doesn’t grace us with wisdom or even much charm this time around. With subjects like teleportation and the usual fun with computer-generated special effects to go with some battles, it should have been something more. But it wasn’t. Directors Alan “The Sopranos” Taylor and James “Dawn of the Dead” Gunn provide the same character goofiness given to us by Kenneth Branagh and Joss Whedon in the first film. But hey, at least that film focused on the acquirement of wisdom and growing beyond one’s self. Part II accomplishes little but provide sickly unsupported entertainment for those easily won over by horned monsters that can take a lot of hits. There were no good reasons for why they could not have done better than this.